Artificial intelligence, and it’s applications in computer vision and object detection, has been rapidly advancing in recent years. But it’s still computationally inefficient, which means it takes substantial processing resources and energy to work. 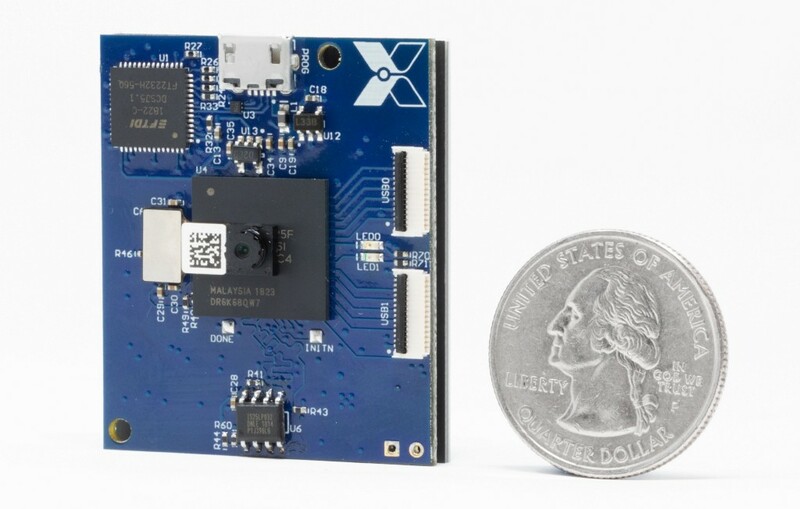 In 2017, Xnor started working on optimization to make object detection run smoothly on a Raspberry Pi Zero, and now they’re back with an inexpensive, solar-powered board that can handle real-time object detection on the edge. “Edge computing” is a relatively new term, and refers to processing tasks that happen at the physical location where they’re needed. It’s new because everything was on the edge until the proliferation of cheap bandwidth and cloud computing. That kind of offloaded cloud computing is useful because it allows you to perform resource-intensive tasks without needing a lot of processing power in local devices, like for IoT. But, it also introduces significant latency and, more importantly in today’s world, privacy concerns. Xnor’s mission is to take artificial intelligence jobs that are traditionally resource-intensive and make them efficient enough to run without offloading processing to the cloud. Doing that on a $5 Raspberry Pi Zero was a great start, but their new piece of AI hardware is even more impressive. It fits in the palm of your hand, and is able to perform object detection in a fraction of a second using just a small solar cell. That solar cell is just a little bit larger than what you’d find on a basic calculator, which means this device is using an absolutely tiny amount of power. Xnor says that if it were running off of a coin cell battery and snapping one frame per second, it could run for more than 30 years. It’s doing that by keeping the resolution low — just 320×240 — and running the object recognition model through an efficient, dedicated FPGA. A low-power wireless setup lets it communicate data as needed, and a super capacitor keeps it running when it gets dark. Xnor is, however, quick to point out that this isn’t a product. Rather, it’s a demonstration of how much they’ve been able to optimize artificial intelligence for object recognition. If it can be done on an ultra low-power device like this, it can be done on your smartphone or security camera with a trivial amount of processor usage — all without resorting to cloud computing. Cheap, Solar-Powered AI Device Performs Object Recognition on the Edge was originally published in Hackster Blog on Medium, where people are continuing the conversation by highlighting and responding to this story.